The 2019 Mercedes G-Class is a large, luxury SUV that has arrived at Mercedes Benz in Colorado Springs, CO. This high-class vehicle has a lot to offer drivers from sublime comfort to powerful engines. The base 2019 Mercedes G-Class price starts at $124,500. If you prefer the performance-oriented AMG® G 63 model, you are looking at a starting price of $147,500. There are two trim levels on the G Class Mercedes. The 2019 Mercedes-Benz G 550 offers many high-end standard features. These include heated front and rear seats, leather upholstery, COMAND® infotainment system paired with a 12.3-inch display, navigation system, sunroof, Bluetooth®, a Burmester sound system, two USB ports, satellite radio plus Android Auto and Apple CarPlay. Standard driver assistance features include rear cross traffic alert, a rear view camera, forward collision warning, adaptive cruise control, automatic emergency braking, traffic sign recognition, lane departure warning, blind spot monitoring, park assist, and lane keep assist. There are several packages you can upgrade too. Upgrades include Nappa leather upholstery, massaging front seats, Wi-Fi hotspot, adaptive suspension, ventilated front seats and heated steering wheel. The 2019 Mercedes-AMG® G 63 comes with a more powerful engine. Standard features are identical to the 2019 Mercedes G 550. The 2019 Mercedes G-Class comes with two V8 engine options. The base model features a 416 horsepower V8 while the AMG® model features a twin-turbocharged 4.0-liter V8 that pumps out 577 horsepower. It also comes standard with four-wheel drive. The 2019 Mercedes G-Class mpg is 13 in the city and 17 on the highway. Plus, the redesigned G-Class is ideal for on-road travel but also features everything needed to tackle off-road terrain as well. It can take on steep inclines and lateral slopes for superior performance. The 2019 Mercedes G-Class interior seats five people in complete comfort. There’s plenty of head and legroom to seat adult passengers with ease. Headroom in the front is 41.85 inches while the second row features 40.47 inches. Legroom in the front measures 38.66 inches while the second row has 39.53 inches. Shoulder room measures 57.8 inches and the second row has 57.36 inches. In addition to the other safety features of the 2019 Mercedes G-Class, standard equipment also includes active brake assist and Mercedes Pre-Safe system which tightens the seat belts automatically and rolls up the windows when the vehicle detects an impending collision. There are 24 exterior colors for the 2019 Mercedes G-Class to choose from. Some popular options include Black, Brilliant Blue Metallic, Polar White, Rubellite Red Metallic, designo® Cardinal Red Metallic, and Emerald Green Metallic. The 2019 Mercedes G-Class is far more stylish than the Range Rover. It provides ample room for passengers in both rows. As another perk, the G-Class SUV features more standard tech features and powerful engine options. It’s time to get behind the wheel of a 2019 Mercedes G-Class SUV today. If you want to save some money, a Mercedes-Benz G-Class lease deal might be the best option for you. Not only will you pay less per month versus financing, but you can also trade it in for one of the new Mercedes models in a few years. Leasing allows you to experience all the modern technology offered in all the 2019 Mercedes SUV models without too much commitment. 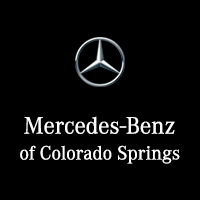 Stop by Mercedes-Benz of Colorado Springs!